Estimates for the most recent months are provisional and are likely to be updated as more data is incorporated into the index. Read the revision policies. The January 2019 UK HPI will be published at 9.30am on Wednesday 20 March 2019. See the calendar of release dates. England house prices grew by 2.3% in the year to December 2018, down from 2.5% in the year to November 2018. This is the lowest annual growth for England since June 2013, when house prices increased by 1.9%. England house prices were growing slower than the UK annual rate of 2.5% in the year to December 2018. The West Midlands was the fastest growing region with an annual growth of 5.2%, up from 4.1% in the year to November 2018. The lowest annual growth was in the North East, where prices fell by 1.0% over the year to December 2018, down from an increase of 1.7% in November 2018. This was followed by London where prices fell 0.6% over the year. On a non-seasonally adjusted basis, average house prices in England increased by 0.3% between November 2018 and December 2018, compared with an increase of 0.5% during the same period a year earlier (November 2017 and December 2017). On a seasonally adjusted basis, average house prices in England increased by 0.1% between November 2018 and December 2018. The UK Property Transaction Statistics for December 2018 showed that on a non-seasonally adjusted basis, in the 3 months to December 2018, the number of transactions on residential properties with a value of £40,000 or greater in England was 278,960. This is up 2.6% compared with the 3 months to December 2017. 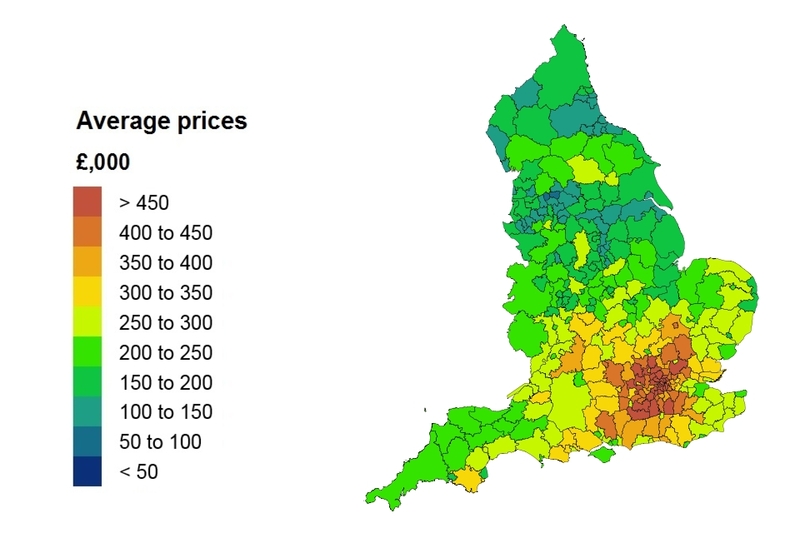 Across England, all houses showed an increase in average price in December 2018 when compared with the same month in the previous year. Semi-detached houses showed the biggest increase, rising by 3.3% in the year to December 2018 to £233,000. The average price of flats and maisonettes fell by 0.4% in the year to December 2018 to £226,000. Falling prices over the year in England flats and maisonettes was driven by negative growth in London for this property type. London accounts for around 30% of England flats and maisonette transactions. As with other indicators in the housing market, which typically fluctuate from month to month, it is important not to put too much weight on one month’s set of house price data. Average house prices in England have increased by 2.3% in the year to December 2018 (down from 2.5% in November 2018). In London, average house prices decreased by 0.6% in the year to December 2018, unchanged from November 2018. Low numbers of sales transactions in some local authorities and London boroughs, such as City of London, can lead to volatility in the series. While we make efforts to account for this volatility, the change in price in these local levels can be influenced by the type and number of properties sold in any given period. Geographies with low number of sales transactions should be analysed in the context of their longer-term trends rather than focusing on monthly movements. In December 2018, the most expensive area to live in was Kensington and Chelsea, where the cost of an average house was £1.4 million. In contrast, the cheapest area to purchase a property was Burnley, where an average house cost £84,000. In December 2018, the most expensive borough to live in was Kensington and Chelsea, where the cost of an average house was £1.4 million. 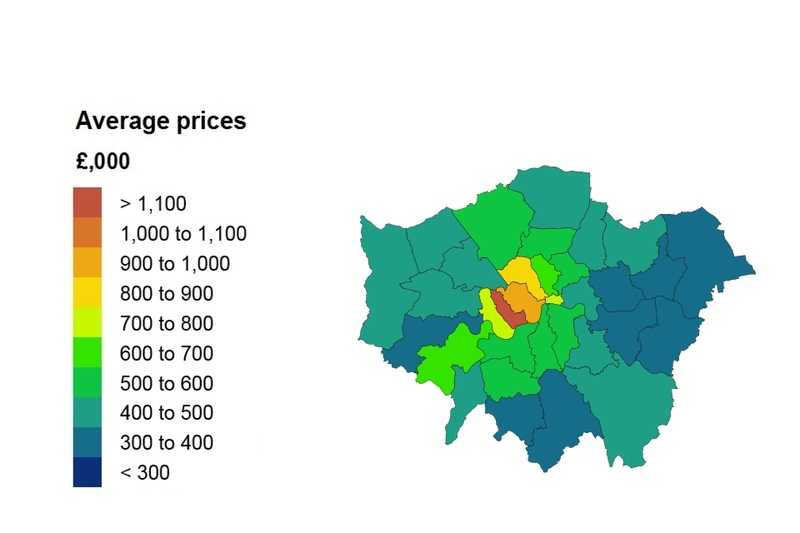 In contrast, the cheapest borough to purchase a property was Barking and Dagenham, where an average house cost £303,000. Sales volume data is also available by property status (new build and existing property) and funding status (cash and mortgage) in our downloadable data tables. Transactions involving the creation of a new register, such as new builds, are more complex and require more time to process. Read Revisions to the UK HPI data for more information. Note: The ‘Difference’ column has been removed from this table as the latest month’s data are not yet complete. The estimate for October 2018 is calculated based on around 85% of the final registered transactions. The number of property transactions for October 2018 will increase as more transactions are incorporated into the index. Comparing the provisional volume estimate for October 2017 to the provisional estimate for October 2018, volume transactions increased by 4.7% in England. 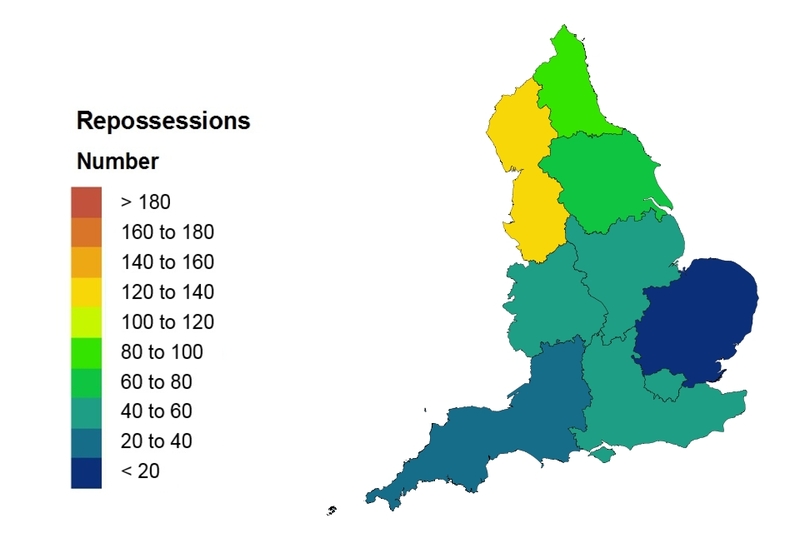 UK Property Transaction Statistics published by HM Revenue & Customs (which differ in coverage but are more complete for this period) report that on a non-seasonally adjusted basis, volume transactions increased by 1.0% in England in the year to October 2018. Comparing the provisional volume estimate for October 2017 with the provisional estimate for October 2018, volume transactions increased by 4.7% in England. Transactions involving the creation of a new register, such as new builds, are more complex and need more time to process. This means they can take longer to appear in the land registers. 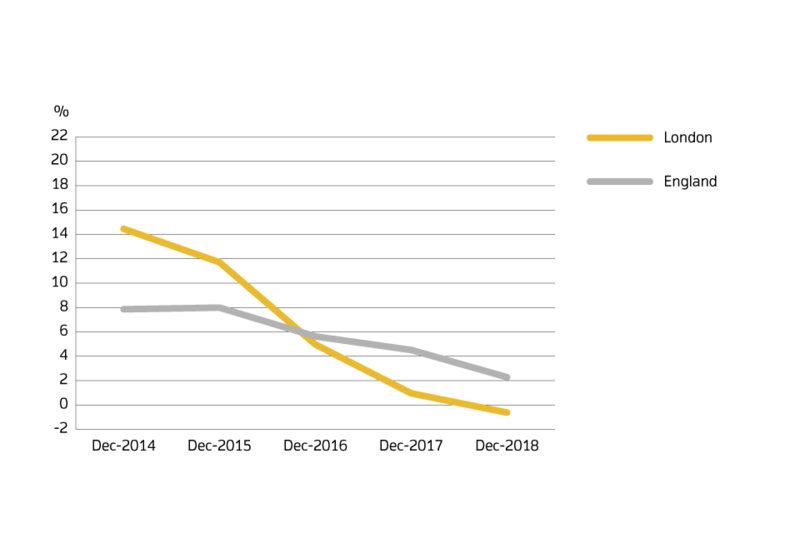 The volume of new build transactions for the most recent 2 months are not at a reliable level for reporting the breakdown between new build and existing resold property, so they are not included in the report. Note: since the October 2017 release, amendments have been made to our estimation model when calculating our provisional estimate. Find out further information and the impact of this change in methods used to produce the UK HPI. Due to a period of 2 weeks to 2 months between completion and registration of sales, volume figures for the most recent two months are not yet complete, so they are not included in the report. Download the data as CSV files or access it with our UK HPI tool. View any revisions to previously published data in the data downloads or find out more about revisions in our guidance About the UK HPI. The UK House Price Index (UK HPI) is calculated by the Office for National Statistics and Land & Property Services Northern Ireland. Find out about the methodology used to create the UK HPI. Find out more about the UK House Price Index.